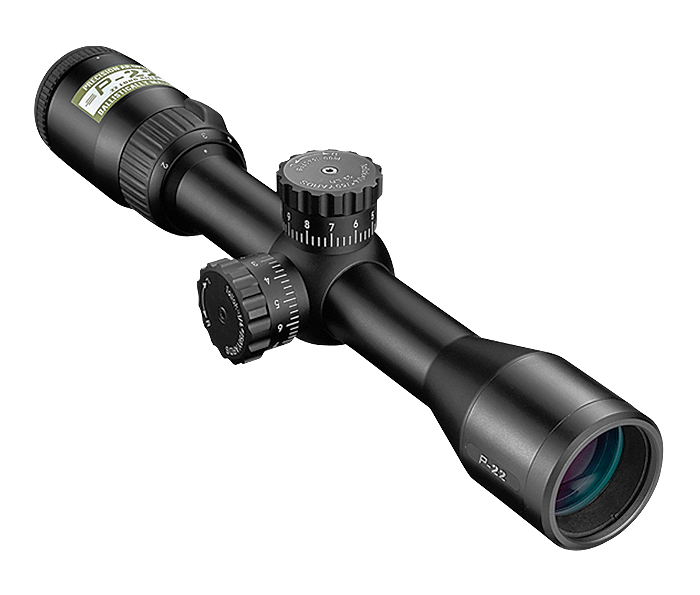 BDC 150 Reticle: Developed specifically for the trajectory of the .22 Long Rifle Rimfire round, the new BDC 150 reticle offers shooters unique open circle aiming points 50 to 150 yards. Fully Multicoated Optical System: Provides maximum light transmission and maximum brightness from dawn to dusk. 50-yard Parallax Setting: Eliminates parallax for precise shooting. Generous, Consistent Eye Relief: Allows maximum precision when changing magnifications. Precise, 1/4 inch @ 50 yd. Tactical Style Hand-turn Adjustments: Positive click reticle adjustments get you zeroed in quicker and maintain your setting—even with heavy recoil. Zero-Reset Turret Feature: To simplify field adjustments, Nikon has integrated this feature into all new riflescopes. Just sight-in as usual, then lift the spring-loaded adjustment knob, rotate to your “zero”, and re-engage. Field adjustments are now as simple as dialing-in your subsequent ranges.